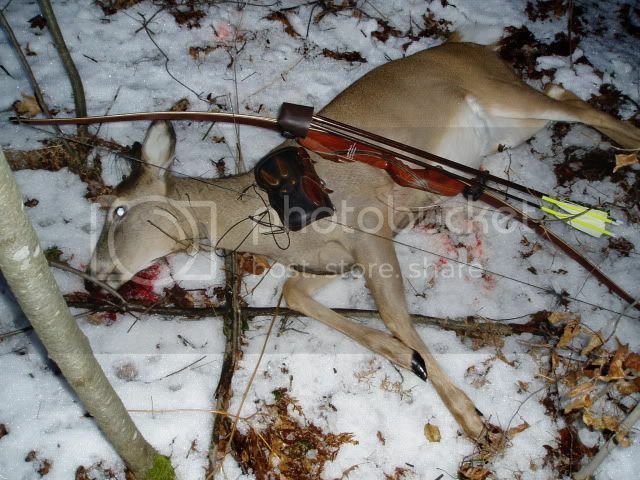 Congrats on a Big Fat Doe! Any kill with a Stick Bow is a trophy! Great looking set up, and by the looks of it, deadly too. Congradulations on your harvest. Congrats on the doe, Jim. Looks like some of that snow is there to stay for the winter. thanks I just checked my trail camera and got a pick of me in treestand and of doe walking trail just before I took her. She is headed to a clover plot behind me. Way to go. Nice slick head.